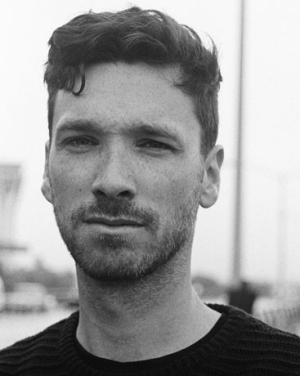 It’s been a busy spring for documentary filmmakers Sébastien Rist, BA (comm. studies) 08, and Aude Leroux-Lévesque, BA (comm. studies) 07. 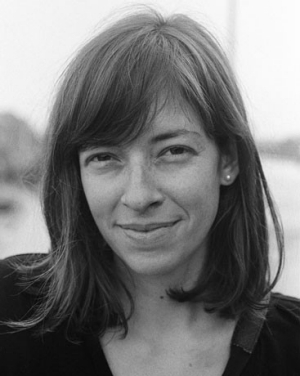 Rist and Aude Leroux-Levesque took home the emerging Canadian filmmaker award, worth $3,000, at the 2016 Hot Docs Festival in Toronto. Their heart-wrenching documentary Living With Giants enjoyed three screenings at the festival in early May. Set in a remote community in northern Quebec, Living With Giants follows an Inuk teenager as he navigates the challenging transition from youth to adulthood. “We expected to make a documentary that stayed away from all the stereotypes,” Leroux-Lévesque says. However, as the shoot progressed through 2014, many surprising events unfolded that forced the pair to drastically alter the direction of the film. “Now it’s not just a story about our friend; there’s a serious problem happening,” Rist says, careful not to reveal any spoilers. “We wanted to stick to our original intentions, but we had to change so many things,” Leroux-Lévesque adds. While rerouting such a large project may have been stressful for some, Rist and Leroux-Lévesque point out that this element of surprise is precisely what appeals to them about documentary filmmaking. “You never know what’s coming, and it’s real people living through real events,” Leroux-Lévesque says. The couple has travelled extensively in Quebec and abroad to document the unique lives and careers of individuals. Their stories highlight societal ills, social activism and collective action. Getting emotionally involved with their characters comes with the territory, and Rist admits that almost all of their films have brought them to tears at some point. This is especially true with larger projects, which require a deep level of financial and emotional investment. While most of the documentaries they have produced over the last seven years were commissioned by various organizations, they assert that accepting this type of work is the secret to any documentary filmmaker’s survival. Rist and Leroux-Lévesque are partners both in work and in life. After completing a student film project together in 2006, they began dating and have been inseparable ever since. Far from putting pressure on their relationship, they feel lucky for the opportunity to work together. After all, two heads are better than one — especially since their day job involves demonstrating exceptional street smarts, cultural sensitivity and emotional intelligence. “It’s been really easy. We tend to have the same taste in almost everything — except music,” Leroux-Lévesque says with a laugh. Yet their opposing tastes in music did not stop them from making Kelly Fraser: North Star, a short biopic about Inuit singer Kelly Fraser. If two film releases in short order weren’t enough, the couple celebrated the arrival of their first child on April 22. Although they acknowledge the need to stay put for a while with their newborn son, their thoughts remain focused on a future filled with love, adventure and film.